Total Length:75mm (close to 3"), Grit: 60-80 (Coarse), Quantity:Only 1 Piece. 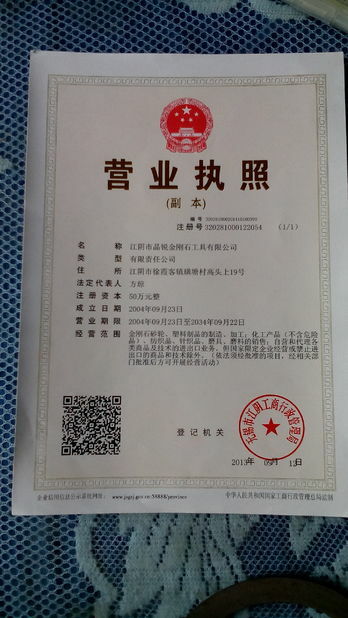 Product use: Apply to stone carving, jade carving, Gem peeled, bone carving, egg decorating, glass carving etc. Used for sculpturing, dressing, precision grinding and internal grinding carbide in ceramic, glass, precious stone, alloy and many the abrasive materials. 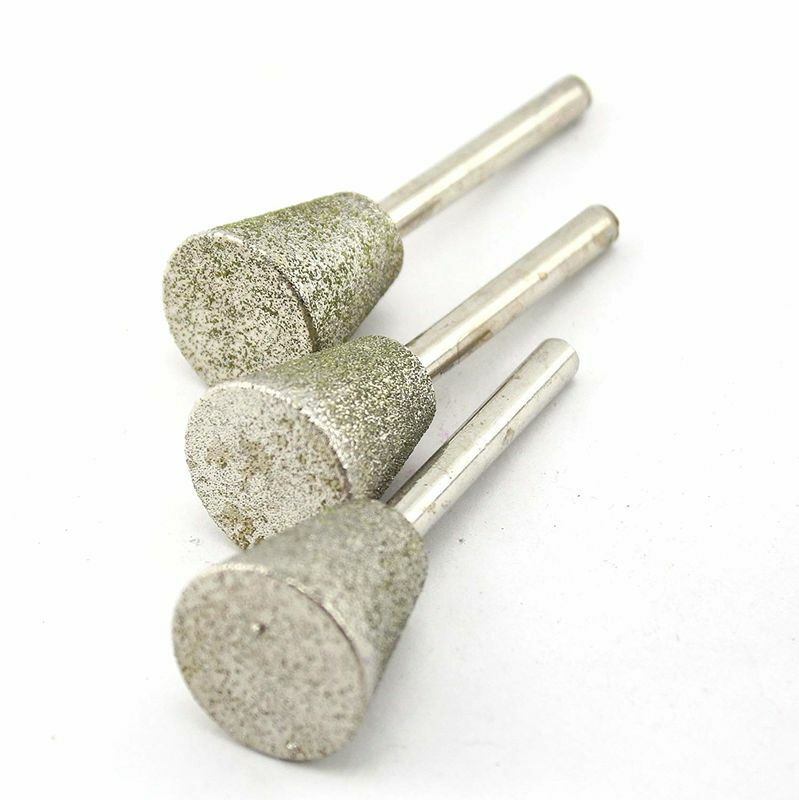 Features: 1) Electroplated diamond carving/grinding bits are designed for carving a wide range of ultra hard to soft material into intricate shapes. 2) Designed for use with all popular hand held machines & must be used with coolant. 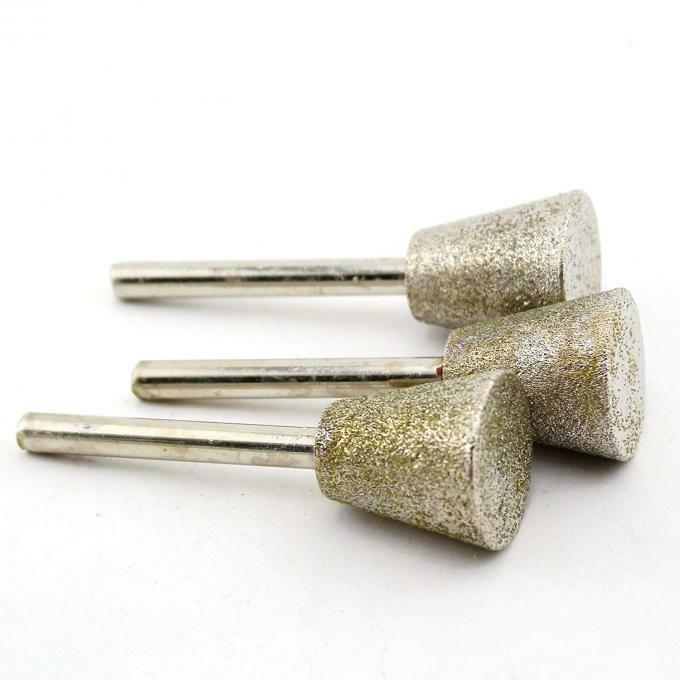 5) Application:Electroplated diamond mounted points(diamond burr) have good performance with smooth cutting surface, and high drilling speed. Advantages: 1) Specification is complete and varied. Main Market: USA, Canada, Germany, Italy, Portugal, Poland, Russia, Brazil, Chile, Australia, UAE, South Africa etc.